When Nils Crusberg began teaching guitar, he looked online and he didn’t find many lesson plans that were accurate, concise, and interesting for his students. He needed handouts that were limited to one page each in order to avoid accumulated clutter, but he also wanted his handouts to contain useful information. He began an extensive project of creating lesson plans for his students. Posting his handouts online at no cost to the viewer was another time consuming assignment that Nils eventually accomplished. He came to the conclusion that his guitarstles.org website had limitations, in that it could only provide his students with a static display of his curriculum. In order to have a more dynamic online forum for teaching guitar, Nils created a blog in which he can express his views and describe lessons in a more dynamic fashion allowing for updates and changes in his methodology. The accuracy of the transcriptions found on websites like this is debatable and the advertising can be a bit of a nuisance, but sites like this usually have lots to offer. Many of these websites offer the first page of their sheet music and tablature for free, otherwise the cost for each transcription can vary from $1-$5. 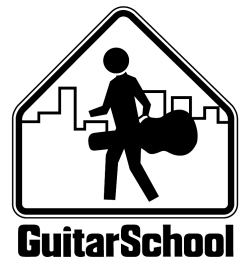 Free guitar lessons are widely available online at various websites. Instructional videos are available that can give students a concise explanation that describes how to take advantage of useful techniques or learn new songs. Forums can provide the student with an interactive environment where they can ask advanced players specific questions relating to the guitar. Finding other musicians who are into the same material as you can be difficult. I always remind others to be persistent and to accept imperfections as everyone has different things they can contribute. The odds are small that your next door neighbor or co-worker will have the same interests as you, so you might have to look elsewhere. The most effective way to make contact with other musicians is via online resources. Along with generic social networking sites (as listed above), it's a good idea for a band to have a formal website. Most websites are simple to design with drop and drag templates and no coding required. Website hosts often have a free option with a small on-screen advertisement and no completely customizable domain name. If you want a professional domain name, the website hosting service will usually require you to sign up for at least a "bronze" account at a fee of $20-$50, plus there's an estimated biennial domain name fee of $50. Along with a formal website, it's also a good idea to have band profiles on websites that specializes in marketing such as Facebook, Wordpress, Youtube, Instagram, or Twitter. To go with that, it's also wise to have a social networking site that specializes in promoting bands and artists. These websites often offer you the option of selling your audio tracks via their internal "store". They also allow you to network with other musicians, list event calendar dates, or send out mass emails to fans, etc. If you do not need the luxury of trying out a product before you buy it, then online purchases might be worth the savings. Person to person classifieds such as Craigslist or Ebay are also good places to find equipment at good prices. Nils has created a multitude of websites that offer a variety services from live sound reinforcement to live entertainment. His creative writing and artwork can also be found at some other websites that he has designed.